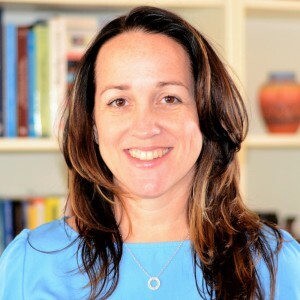 Carla L. Fisher is an Associate Professor in the Advertising Department and Affiliate Member of the STEM Translational Communication Center, UF Health Cancer Center, and Center for Arts in Medicine. She was a Pre-doc Fellow with the National Institute on Aging (NIA) with summer post-doc training from the National Cancer Institute (NCI). Using a life-span, developmental lens she examines the importance of family communication to health in the family environment and clinical setting. She conducts translational narrative-focused, mixed-method research with multi-method qualitative designs and collaborates with diverse health practitioners and medical institutions to translate her research to practice. Her work has been funded at the federal, private, and local levels and published in journals like Psycho-Oncology, Patient Education & Counseling, Journal of Genetic Counseling, Health Communication, and Journal of the American Board of Family Medicine. She has been an invited health behavior expert for government including the USAID, Office of Women’s Health (OWH), and the Military Primary Care Research Network. Fisher has received international and national awards for her research on mother-daughter communication, breast cancer risk, coping, and prevention, in which she has collaborated with global leaders like Mayo Clinic and Memorial Sloan-Kettering. Her book Coping Together, Side by Side: Enriching Mother-Daughter Communication across the Breast Cancer Journey is the first translational, research-based book on the psychosocial experience of cancer from the mother-daughter perspective. It has been commended for its translational value to practitioners and families by clinicians at the Johns Hopkins Breast Center and UCLA School of Medicine. A recent review of her book can be found here. Her work has been covered by media outlets like The Washington Post, Northern Virginia Magazine, and AZ Central/Arizona Republic. Ledford, C., Fisher, C. L., Moss, R., & Crawford, P. (2018). Critical factors to providing and maintaining acupuncture treatment in the family medicine setting. Journal of the American Board of Family Medicine. Canzona, M., Ledford, C. J. W, Fisher, C. L., Garcia, D., Raleigh, M., Kalish, V. (2018). Clinician barriers to initiating sexual health conversations with breast cancer survivors: The influence of assumptions and situational constraints. Family, Systems, and Health. Fisher, C. L., Fowler, C., Wolf, B., & Canzona, M. R. (2017). Experiences of “openness” between mothers and daughters during breast cancer: Implications on coping and health outcomes. Psycho-Oncology, 11, 1872-1880. Fisher, C. L., Roccotagliata, T. J., Rising, C. J., Kissane, D., Glogowski, E., & Bylund, C. (2017). “I don’t want to be an ostrich”: Managing mothers’ uncertainty during BRCA 1/2 genetic counseling. Journal of Genetic Counseling, 26, 455-468. Canzona, M. R., Garcia, D., Fisher, C. L., Raleigh, M., Kalish, V., & Ledford, C. (2016). Communication about sexual health with breast cancer survivors: Variation among patient and provider perspectives. Patient Education & Counseling, 99, 1813-1820. Fisher, C. L., & Nussbaum, J. F. (2015). Maximizing wellness in successful aging and cancer coping: The importance of family communication from a socioemotional selectivity theoretical perspective. Journal of Family Communication. 15, 3-19. Fisher, C. L., & Wolf, B. (2015). Morality and family communication at the end of life. In V. Waldron & D. Kelley (Eds. ), Moral talk across the lifespan: Creating good relationships (pp. 95-114). New York: Peter Lang. Fisher, C. L. (2014). Coping together, side by side: Enriching mother-daughter communication across the breast cancer journey. New York: Hampton Press. Fowler, C., Fisher, C. L., & Pitts, M. (2014). Older adults’ evaluations of middle-aged children’s attempts to initiate discussion of care needs. Health Communication, 29, 717-727. Fisher, C. L., Maloney, E., Glogowski, E., Hurley, K., Edgerson, S., Lichtenthal, W. G., Kissane, D., & Bylund, C. (2014). Talking about familial breast cancer risk: Topics and strategies to enhance mother-daughter interactions. Qualitative Health Research, 24, 517-535. Pitts, M., Fowler, C., Fisher, C. L., & Smith, S. A. (2014). Politeness strategies in imagined conversation openers about eldercare. Journal of Language & Social Psychology, 33, 27-46. Fisher, C. L., Miller-Day, M., & Nussbaum, J. F. (2013). Healthy doses of positivity: Mothers’ and daughters’ use of positive communication when coping with breast cancer. In M. Pitts & T. J. Socha (Eds. ), Positive communication in health and wellness (pp. 98-113). New York: Peter Lang. Fisher, C. L., Goldsmith, D., Harrison, K., Hoffner, C. A., Segrin, C., Wright, K., & Miller, K. (2012). Communication and mental health: A conversation from the CM café. Communication Monographs, 79, 539-550. Bylund, C., Fisher, C. L., Brashers, D., Edgerson, S., Glogowski, E. A., Boyar, S. R., Kemel, Y., Siegel, B., Spencer, S., & Kissane, D. (2012). Sources of uncertainty about daughters’ breast cancer risk that emerge during genetic counseling consultations. Journal of Genetic Counseling, 12, 292-304. Fisher, C. L., & Nussbaum, J. F. (2012). “Linked lives”: Mother-adult daughter communication after a breast cancer diagnosis. In F. C. Dickson & L. M. Webb (Eds. ), Communication for families in crisis: Theories, research, strategies (pp. 179-204). New York: Peter Lang. Fisher, C. L. (2011). “Her pain was my pain”: Mothers and daughters sharing the breast cancer journey. In M. Miller-Day (Ed. ), Family communication, connections, and health transitions: Going through this together (pp. 57-76). New York: Peter Lang. Fisher, C. L. (2010). Coping with breast cancer across adulthood: Emotional support communication in the mother-daughter bond. Journal of Applied Communication Research, 38, 386-411. Nussbaum, J. F., Miller-Day, M., & Fisher, C. L. (2009). Communication and intimacy in older adulthood. Madrid: Aresta. Fowler, C., & Fisher, C. L. (2009). Attitudes toward decision-making and aging, and preparation for future care needs. Health Communication, 24, 691-630. Nussbaum, J. F., & Fisher, C. L. (2009). Communication model for the competent delivery of geriatric medicine. Journal of Language and Social Psychology, 28, 190-208. Fisher uses a developmental framework and narrative-focused methodology to conduct translational research that can help families learn healthy communication approaches critical to their ability to cope with illness and engage in risk-reducing and health-promoting behavior across generations of family members. Much of her work focuses on women’s health concerns, intergenerational dynamics, mother-daughter interaction, and cancer coping and prevention/risk. She currently has NIH/NIEHS funding as well as an internal CTSI grant to expand her mother-daughter breast cancer research program by capturing culturally diverse mother-daughter coping and risk-related needs and examining breast cancer environmental risk information dissemination to mothers/daughters using social media.